My Melbourne friends. Head down to SunStudios Melbourne today, Friday 21st of October 6PM-8PM. 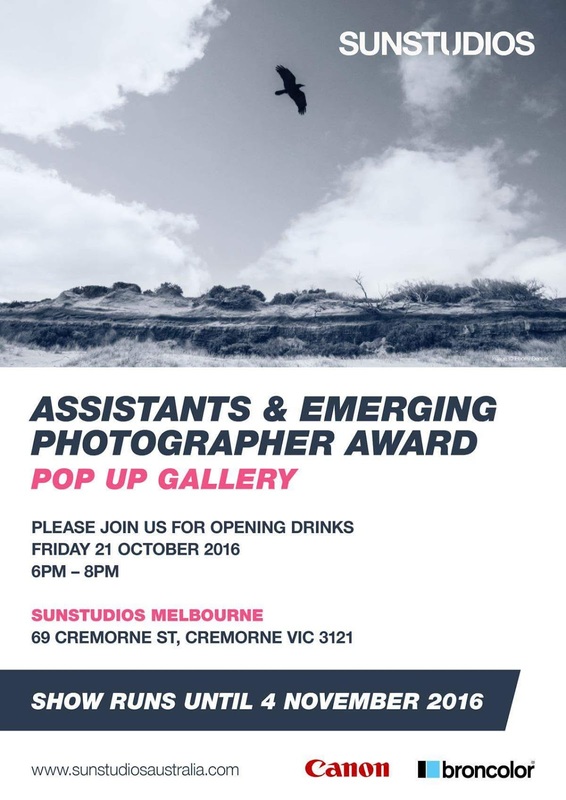 For their Pop Up Gallery opening night for this years Assistants & Emerging Photographer Award. You'll be able to see the portraits I shot of Kane that placed Runners Up. Show runs until the 4th of November. of Kane that placed Runners Up. Show runs until the 4th of November.